PubMatic, the marketing automation software company for publishers, today announced that it has partnered with Media 122, the premium digital media company with a focus on video, and driven a 47 percent increase in programmatic revenue associated with Media 122’s high-quality video assets. Private Marketplace (PMP) revenue represented 41 percent of Media 122’s programmatic revenue increase, and its PMP cpms were 33 percent higher than its open exchange cpms. The partnership is empowering 1,500 premium publishers in Media 122’s network to increase yield on their video inventory while enabling advertisers to connect with consumers in a transparent, brand friendly environment. Inventory from Media 122’s network of premium publishers is available on PubMatic’s Media Buyer Console, automating the creation of inventory packages for buyers seeking transparent, premium audiences. Using PubMatic’s One Platform, Media 122 is able to whitelist inventory at different price points for vertical, audience, events and seasonal automated buys. In addition, Media 122 will leverage PubMatic’s automation tools to enhance operational efficiencies and optimization. Media 122 sees nearly 15 billion video ad requests per month. According to eMarketer, video ad spending is projected to reach $13 billion in the United States by 2018. As the video advertising market continues to grow, there is a significant opportunity for publishers and advertisers to create highly engaging digital video experiences for consumers. With the maturation of a marketplace, industry wide challenges evolve such as quality and fraud, and it is critical to have the right tools in place to protect against these. PubMatic is the leading marketing automation software company for publishers. Through real-time analytics, yield management, and workflow automation, PubMatic enables publishers to make smarter inventory decisions and improve revenue performance. 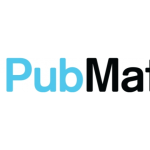 Focused on serving the needs of premium publishers, PubMatic inspires buyer confidence by providing flexibility in audience discovery and planning media campaigns through its Media Buyer Console and APIs. The company’s marketing automation software platform provides a global roster of comScore publishers with a single view into their advertiser relationships across every screen, every channel and every format. PubMatic was ranked by Deloitte as one of the fastest growing companies in the US for the fourth consecutive year in 2015. The company has offices worldwide, and is headquartered in Redwood City, California.